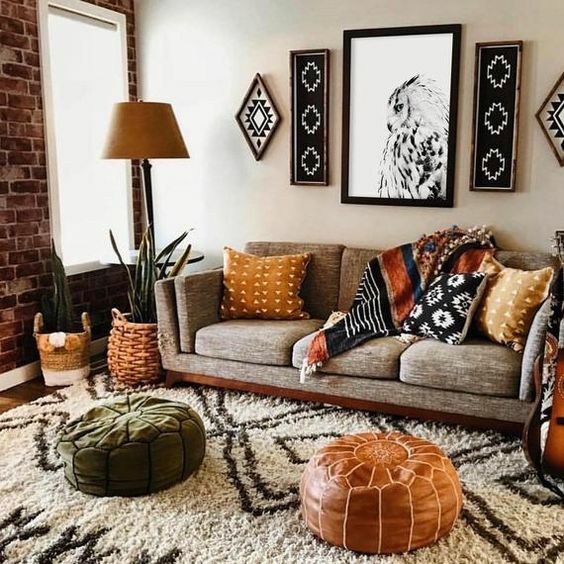 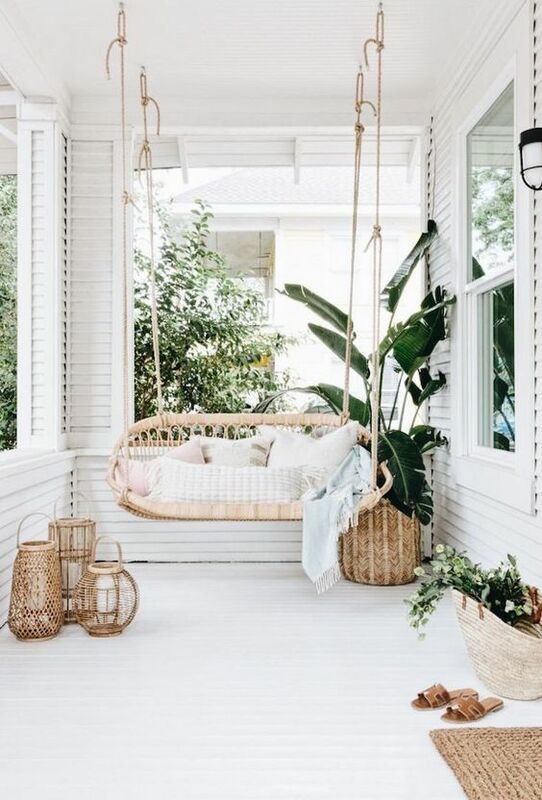 Boho style in all its beauty is the most popular home decor style right now, whether you pair it with mid-century modern, vintage, contemporary or rustic. 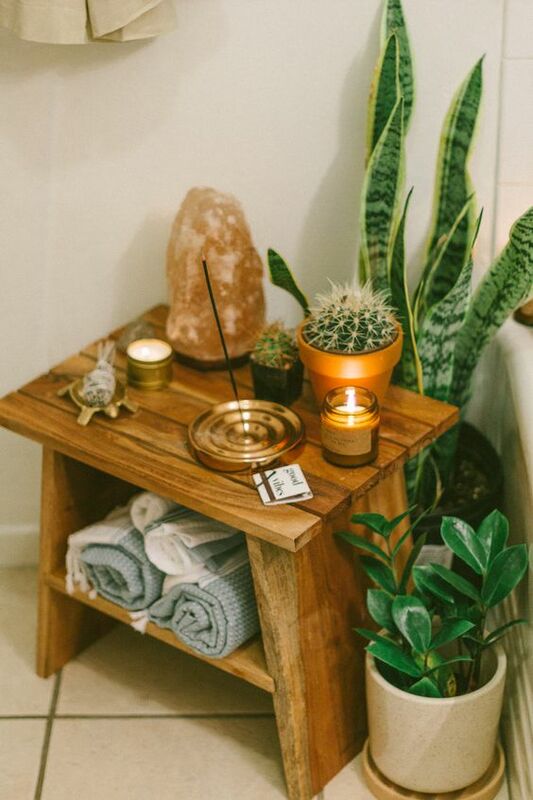 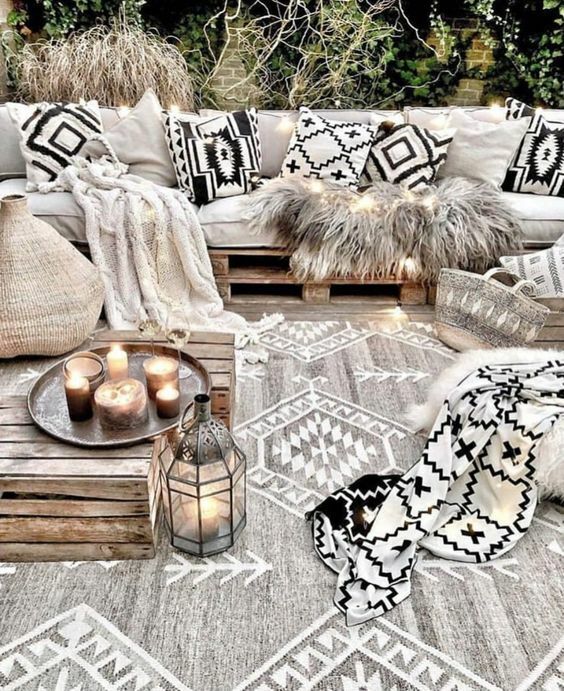 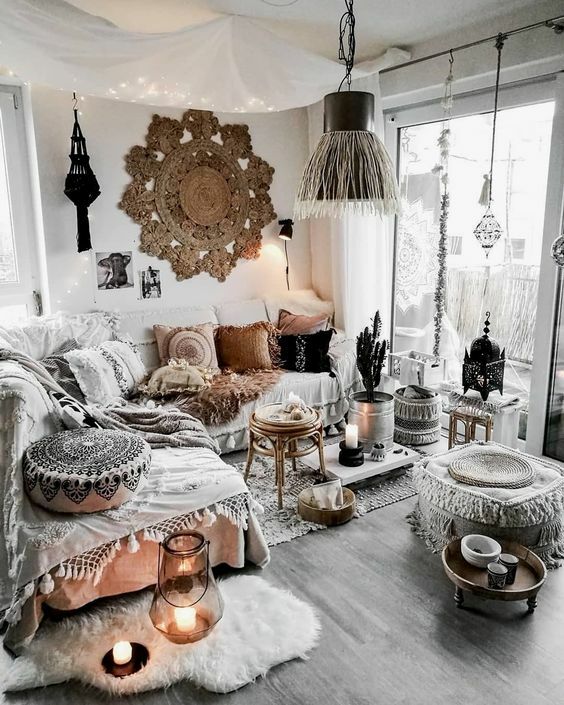 If you are puzzling over how to pull off such decor in your home right, the main thing you need to know is that boho decor style is all about details. 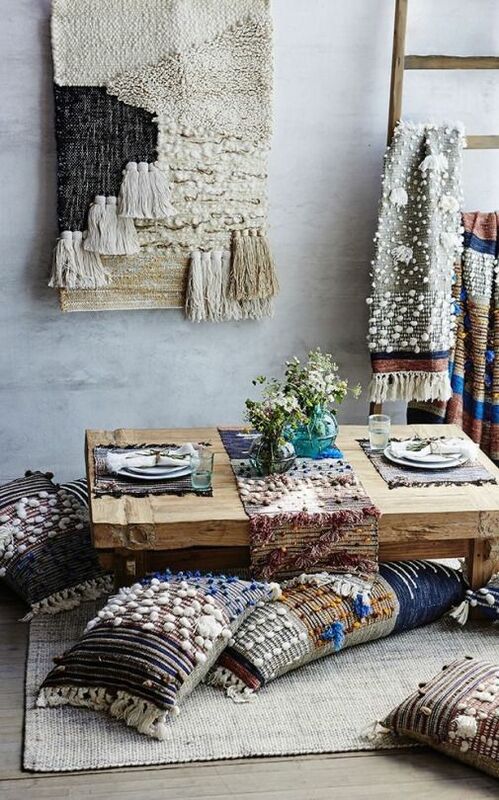 Heavy use of layered textiles, distressed and mismatched items, eclectic accessories – see our guide to all these pieces below! 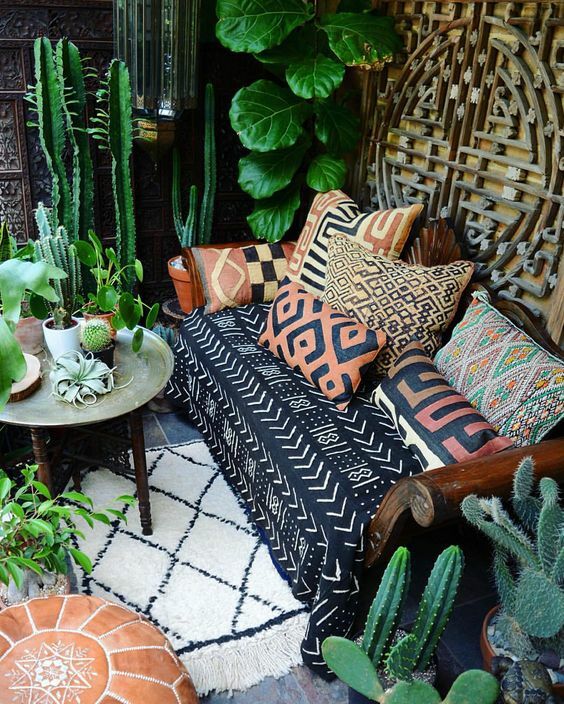 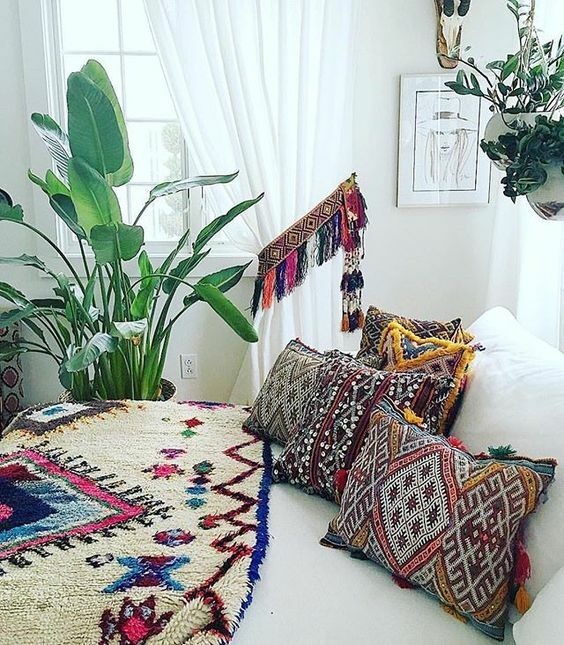 The use of textiles is key to creating a bohemian look. 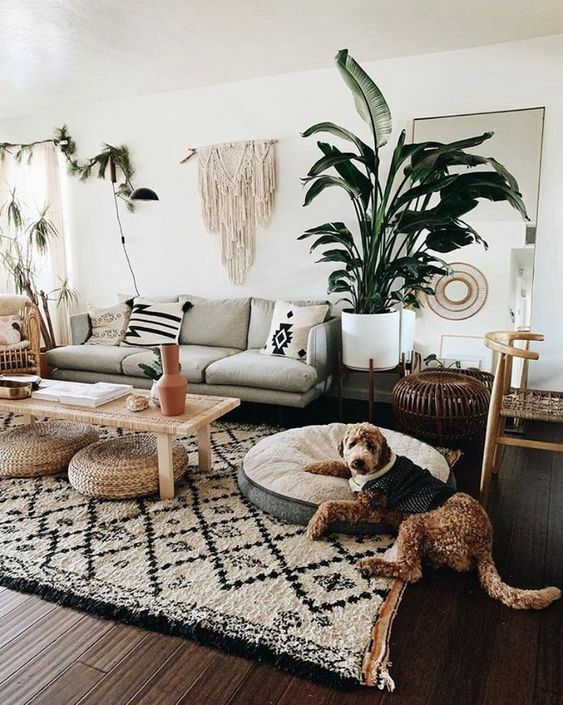 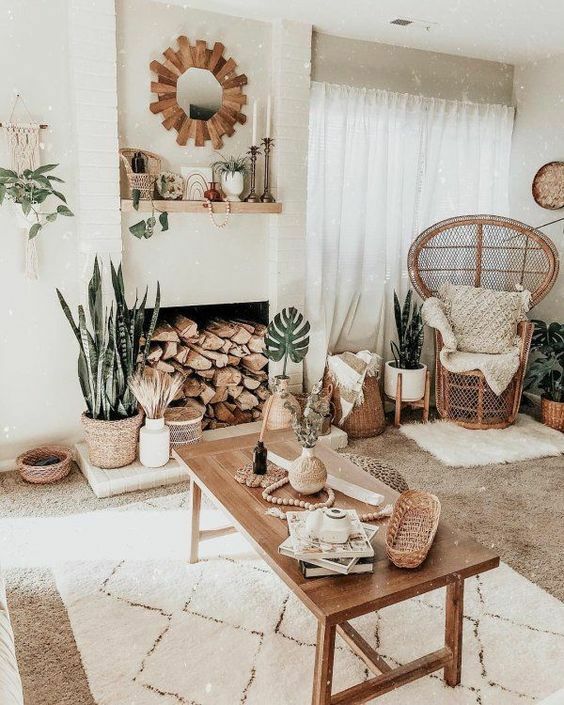 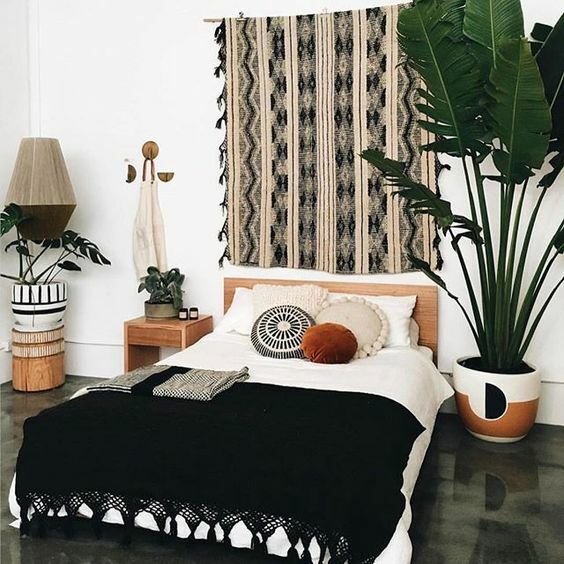 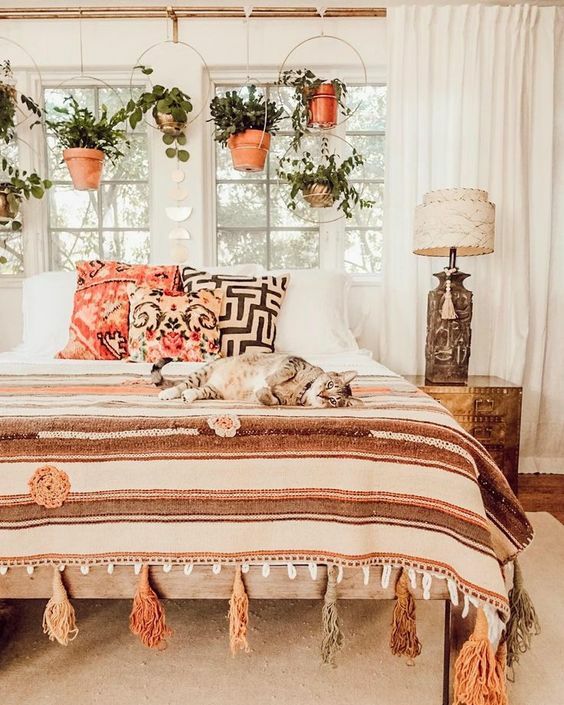 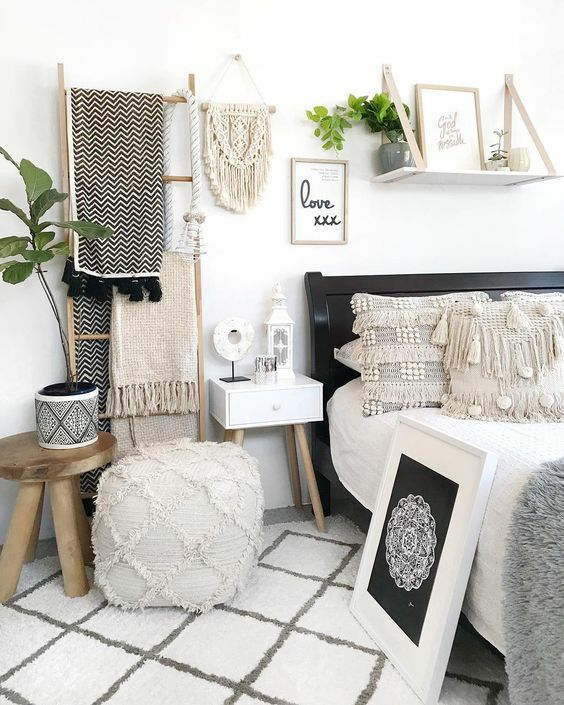 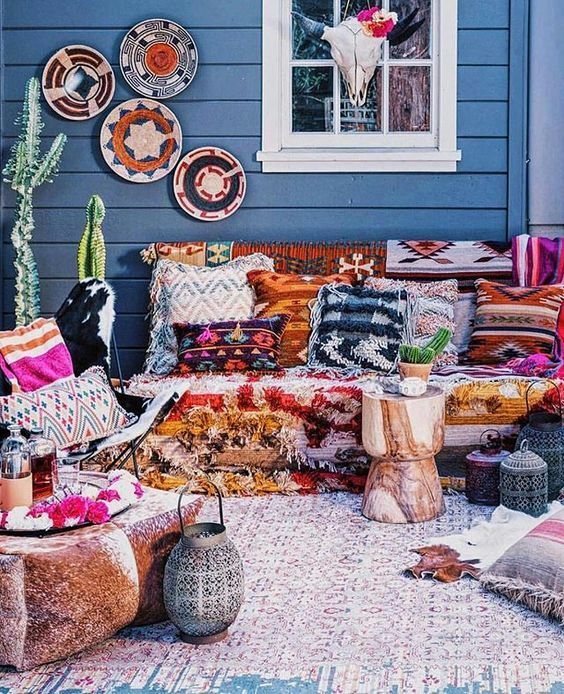 Rugs, tapestries, blankets, throws and wall hangings will be a perfect way to accessorize your boho space without breaking the budget and making serious changes in decor. 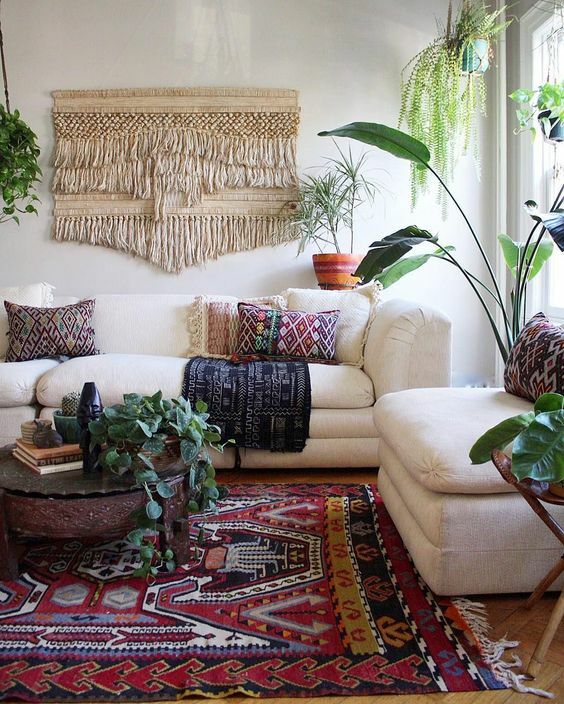 Layering rugs is a classic bohemian design trick – it creates a more visually interesting space. 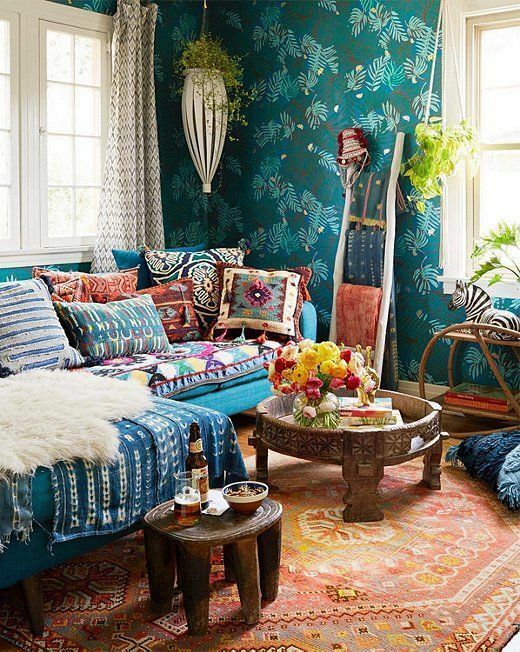 Don’t be afraid of mixing patterns either; if the room is styled right it’ll all blend together and look seamless. 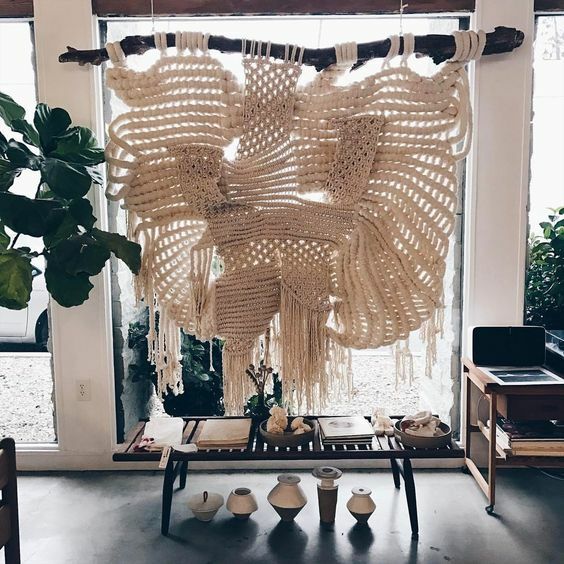 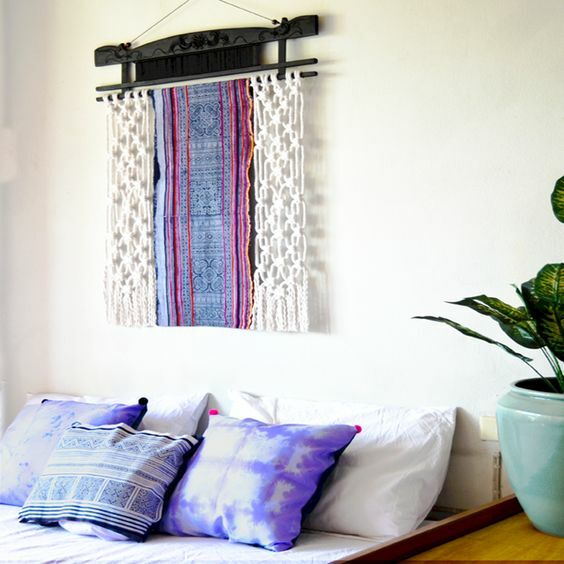 Macrame wall hangings are a more recent trend, but will add texture and depth to a space. 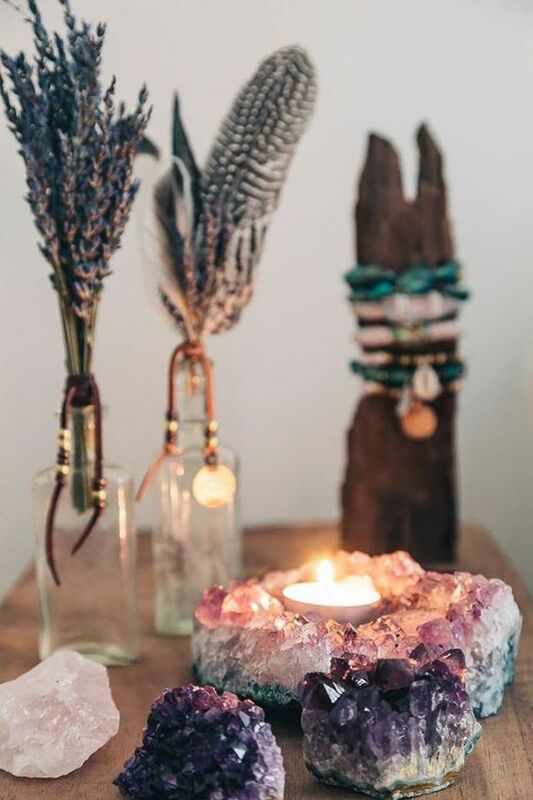 Accessories are a great way to cultivate the bohemian aesthetic. 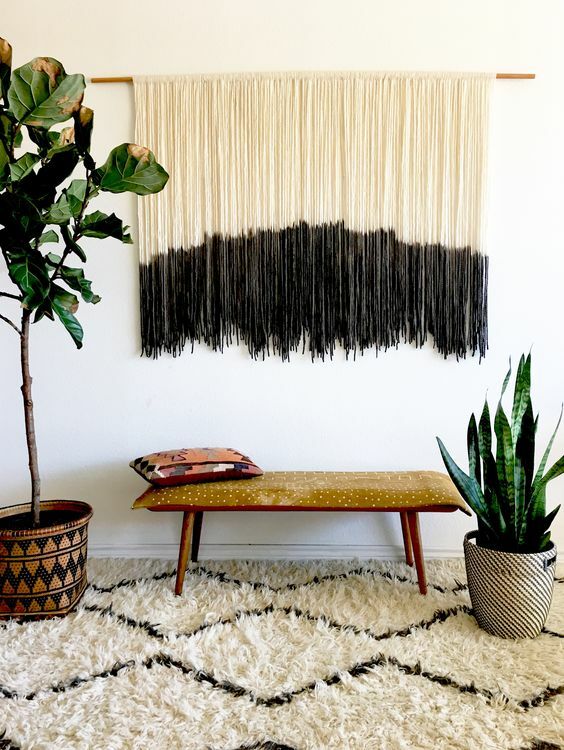 Nothing shiny and new is needed – make all the decor look like it’s been collected over years of travel. 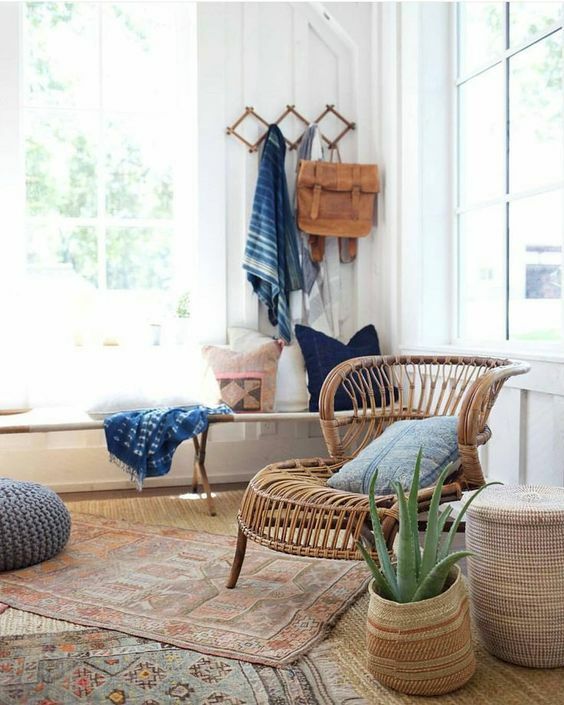 Vintage shops are your best bet for this and whip out any family heirlooms or antiques that have been collecting dust in your attic! 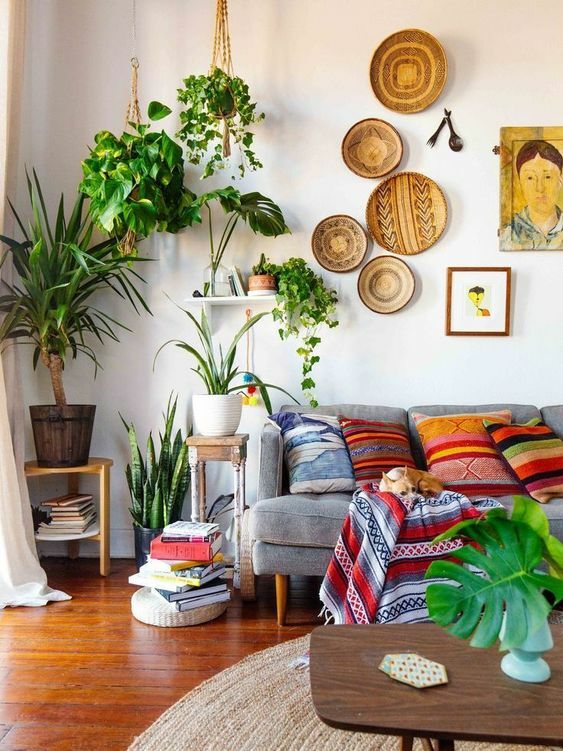 Pulling the outdoors in by incorporating succulents, spider plants, or trailing vines into your decor gets you major bonus points. 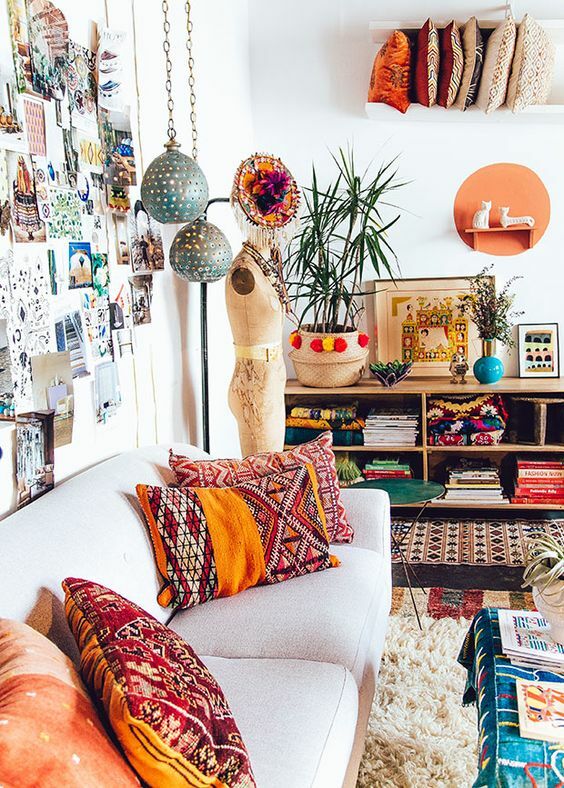 Moroccan-inspired poufs are fun ways to add more seating or lounge space to a room. 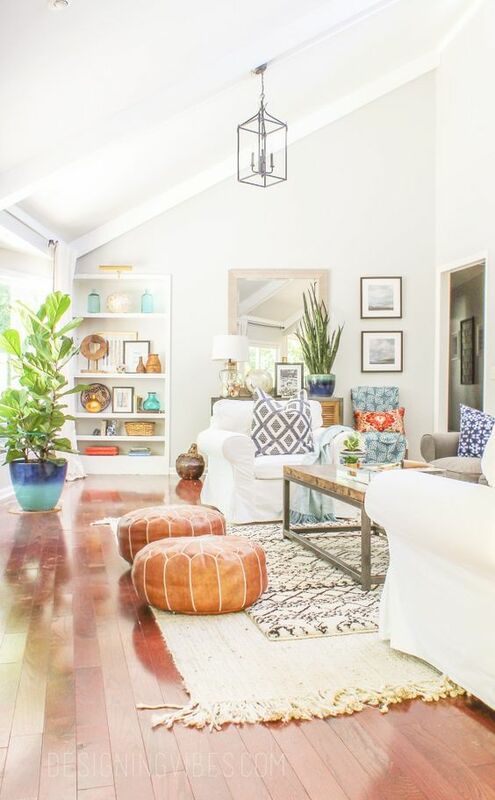 Lanterns, vintage chandeliers, and pendant lights are your go-to’s for making your room glow. 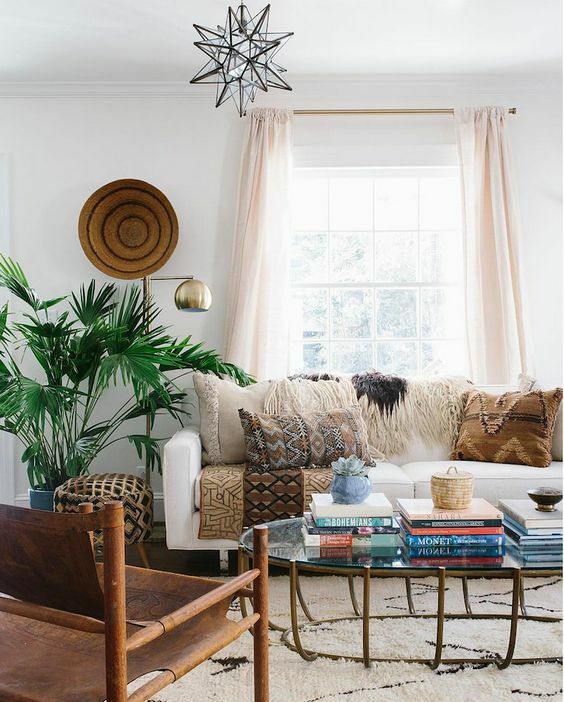 And keep in mind that while bohemian style tends to be eclectic, it can still be chic and glamorous, so do not be afraid to try out an ornate chandelier or a chunky gold-framed mirror. 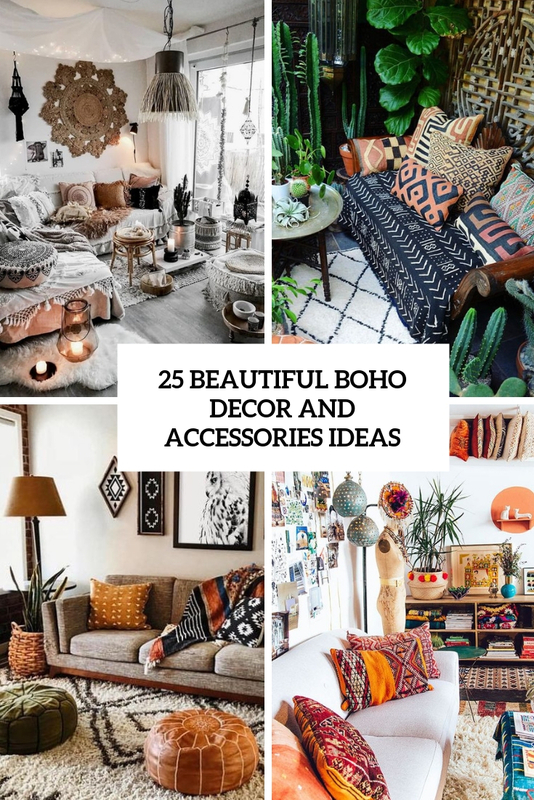 Take a look at the ideas below to get some inspiration!